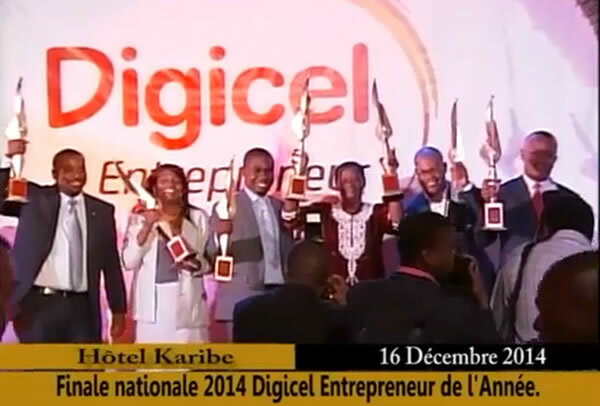 This year, a short list of 85 finalists for 2014 EOTY has been prepared out of over 250 initial entries and the list reflects the changing face of a new Haiti moving on a journey to advancement and prosperity. This year the winners will be selected in a new way-- two finalists from each category will be selected from the west, and one from each category in the center, north and south Haiti. The theme of the award has been chosen as "A Voice for Entrepreneurs". The entrepreneurs will describe what they need to achieve success, how they achieve growth, what they can to contribute to the community and their vision for the future. Maarten Boute, the CEO of Digicel Haiti, has welcomed the rise in the number of women finalists (25% from an earlier 20%). The first twenty five finalists will be taken to an executive education program at Florida International University in Miami, focusing on finding new opportunities and achieving success.